Property tax is a tax levied directly on property. There are two different taxes for the French property owner - whether you’re a resident or not. Higher taxes are more likely to be levied on second homes than main residences. Taxe foncière is a government tax paid by the owner of a property regardless of whether it is occupied and who occupies it (Example: a tenant). This tax is split; there is one tax on buildings (taxe foncière sur les propriétés bấties) and another on land (taxe foncière sur les propriétés non bâties). Should you sell your French property part-way through the year, payable tax is apportioned by the notary you appoint to handle the sale process. Owners who are 75 years or over (or in receipt of specific disability/old age allowances) on 1st January each year, based on level of taxable income in the previous year. This applies to main homes only. Owners aged between 65 and 75 on 1st January. If taxable income falls below a certain limit, a set discount on taxe foncière is available. This applies to main homes only. Land used for farming and other set purposes. French new build property and renovated properties for the first two years after construction. This applies to main homes only. Taxe d’habitation is a local council tax, spent on community services. It is paid by the household living in the property on 1st January each year. The tax is based on a rental value for the property (determined by the land registry), multiplied by whatever tax rate is fixed locally. A mobile home is also subject to Taxe d’habitation, If it’s your main home and has an area of more than four metres squared,. The taxable rate is set per square metre. Dependents (Example: a household with three children). Further discounts are available for low income households. This applies to main homes only. Occupiers over 60 or widows/widowers of any age as on 1st January each year, who are not subject to wealth tax, if net taxable income does not exceed a specific limit. This applies to main homes only. To factor in France’s tax rate for VAT (Tax sur la Valeur Ajoutée or TVA) on your French property purchase, along with tax on rental income if you plan to let your property out. To take into account that most exemptions apply to the main home and won’t apply if you don’t have French resident taxpayer status. Demands for both taxes are sent annually and should be paid by a set date to avoid a late payment penalty. Tax d’habitation rates vary from area to area, which could make a difference to your property search. 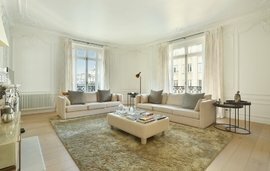 Read more about French property tax rates here. Contact Winkworth France estate agents for more information about property for sale in France. Important: This information is for guidance purposes only and is subject to change. Winkworth recommend that prospective buyers of French property for sale obtain professional legal advice.